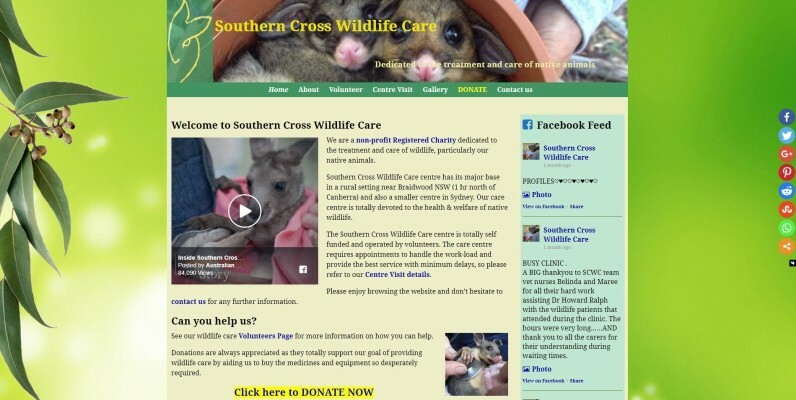 I offered to volunteer as webmaster for this non-profit Wildlife Care organisation in Nov 2017. Their existing website was very much out of date and in need of help. I was able to utilise existing graphics and via WordPress using a free Weaver Xtreme Theme, created a revamped website presence. Paypal is also integrated for donations. They have been very pleased with results.